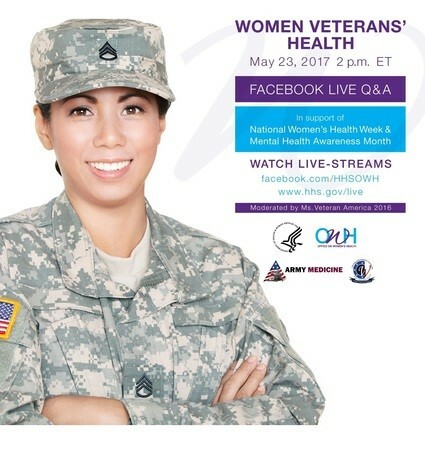 In observance of National Women’s Health Week and Mental Health Awareness Month, which also occurs in May, the HHS Office on Women’s Health is hosting a panel discussion with the U.S. Department of Veterans Affairs (VA), Army Medicine and several others to raise awareness about women veteran’s health. Join them live on Facebook as they talk to experts and women veterans about steps that #womenvets can take to improve their health. Interested in going? RSVP on Facebook and share this event with your friends.